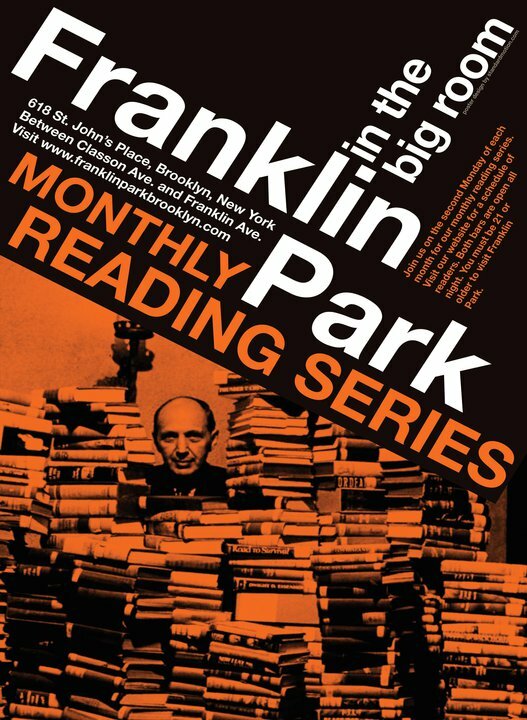 There was a sizable crowd at Franklin Park last night for October’s installment of their reading series. That seemed logical: it was the release party for Nothing: A Portrait of Insomnia, Blake Butler‘s second book of 2011 (and first work of nonfiction), and the bill also included Alexander Chee, who read from his forthcoming novel The Queen of the Night. The night’s theme was “Nocturnes,” and the poet Robin Beth Schaer led things off with a series of short pieces, naturalistic in their imagery and thematically appropriate for the night’s mood. She was followed by Sarah Rose Etter, who read the title story from her collection Tongue Party (which we reviewed here) — an discomfiting account of a father and daughter’s particular line of work, and how things go terribly wrong. I’m looking forward to reading more from Etter — her collection left me very impressed, and she seems to be delving into the realms of the fantastic, the transgressive, and the sensual and assembling the unexpected. My first exposure to Scott McClanahan‘s work came when I saw him read at Book Thug Nation a few weeks ago. (Jason was hip to him much earlier.) And it’s difficult to describe the things that make his presence memorable without losing much of what makes them striking: his use of a small digital recorder to add music to the end of his reading, for one. I’ll just say that he’s a fine storyteller and able to add immediate weight to the selection read at a moment’s notice. His time at the microphone was one of the most impressive, musical readings I’d experienced since, well, the marathon readings for Butler’s There Is No Year in the spring. Afterwards, I picked up two of McClanahan’s collections; I’m looking forward to sitting down with both. Based on the excerpt that he read and his explanation of it, Chee’s novel, unlike his previous Edinburgh, is historical in its setting and — save a focus on the performance of music — appears to be very different. And Butler’s Nothing shares the disorienting imagery and sharp transitions of his fiction, albeit in a very different context. One passage, focused on the slow decay of inflated pink balloons, was immediately striking, and I’m eager to read the entire book before long.